From computers to cable wrap to batteries, you’ll find nonwoven fabrics in places you probably never imagined. Nonwovens offer many advantages in the electronics market, just a few of which you’ll discover below. More than likely, you’ve used plenty of small batteries in your life. What you probably didn’t know is that battery separators are needed between the cathode and anode in every one. Nonwoven separators are thin and lightweight enough to allow ions to move freely from one electrode to another, and inexpensive enough to be cost-effective. The same can be said for circuit boards found in computers. Nonwoven fabrics can be engineered to allow currents to flow freely, without impeding product design. Nonwovens have also been used for decades in cable and wire insulation. 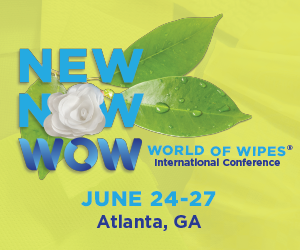 In fact, certain nonwovens are so water-resistant, they can even be used for wires or cables that are buried underground and exposed to the elements.